As mentioned the Hofmann (HFM) plate heat exchanger In the field of medical drugs, a representative case is Shandong Tianli Pharmaceutical Co., Ltd..Shandong Tianli Pharmaceutical Co., Ltd. founded in 1994 is a Sino-foreign joint venture, the backbone enterprises of Shandong Union Chemical Group Co., Ltd., whose main products are oral glucose, sorbitol (pharmaceutical grade, cosmetic grade, food grade) and mannose Alcohol and vitamin C. Technical level and production devices are at leading position in both home and abroad. It is the largest domestic sorbitol production enterprises. Hofmann (HFM) has provided heat exchange solutions for many pharmaceutical companies over the years and provided greener, energy-efficient heat transfer for making efficient and safe production environments and quality products. 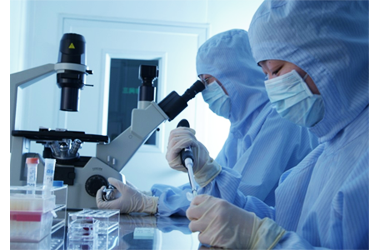 Shandong Tianli Pharmaceutical Co., Ltd. covers an area of 1,100 acres, the total assets of 1.76 billion yuan. It has passed a number of national certification. The main products and production capacity reached 350,000 tons of glucose, 400,000 tons of sorbitol, 20,000 tons of mannitol, 40,000 tons of maltitol, vitamin C2 million tons, VC-Na1800 tons, 800 tons of VC granules, VC phosphate 1800 Ton, trehalose 3,000 tons. Formed a complete product chain from corn starch to glucose, to sorbitol and then to vitamin C and its highly processed products, and the resources have been fully utilized. At present the company's product scale and technical level are at the leading position in China. Sales volume and export volume are the top among the same industry enterprises. Company’s products not only occupy an important share in the domestic market occupies, but also exports abroad. It has established long-term strategic cooperative relations with many fortune 500 enterprises. In pharmaceutical processes of Shandong Tianyi Pharmaceutical production, the plate heat exchanger is necessary. Therefore, Hofmann (HFM) provides on-demand customized heat exchange solutions and heat transfer equipment to meet the needs of different substances on the temperature for Shandong Tianli pharmaceutical industry, so it can produce pharmaceutical products with excellent quality, to achieve the greatest factory efficiency. 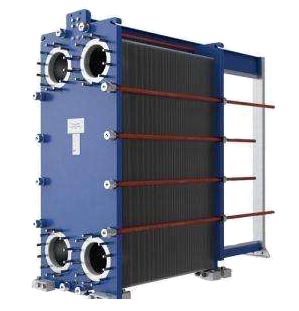 In addition, with the requirements of different process segments, Hofmann (HFM) provides different types of plate heat exchangers. For example, standard heat exchangers, wide flow plate heat exchangers, VC alcohol systems plate heat exchangers and daily alcohol systems and other plate heat exchanger. At the same time, according to the requirements of each process, the heat transfer scheme is provided to achieve precise control of temperature to ensure normal operation. The successful application of Hofmann (HFM)’s plate heat exchanger on Shandong Tianli Pharmaceutical project relies on the experiences of Hofmann (HFM) in the biomedical field and meeting customer needs first. Hofmann (HFM) is committed to the energy field, to focus on heating, combined heat and power as an opportunity to become a professional supplier of systems integration equipment. Provide investment, system solutions, equipment supply and other services, to the maximum extent to meet customer's needs, and become one of the most valuable suppliers in the field of heat industry.